When Apple TV was released back in 2007, it didn’t have too many channels. However, the number of channels (applications) has started to increase and, currently, the latest Apple TV device has over 50 channels (depending from country to country) and counting. Even if there are so many channels, there are people who will watch less than five channels and it is quite annoying to have so many channels in your list, making your life harder to get from a channel to another. With other words, you will need to do more clicks in order to get to the channel you want, which means that you will waste time and we’re pretty sure that you don’t want to waste time nowadays. However, Apple came with a nice idea, allowing you to rearrange the TV channels or even hide them if you want to. Today, we’re going to teach you how to do that, so in case you own an Apple TV device and you didn’t know about this, read below. Apple is allowing you to customize the Apple TV the way you want. You will be able to rearrange the channels on your home screen and put them in your favorite order. For example, you will be able to move your most watched channels on the top of the screen, which is pretty awesome. The downside of this feature is that it doesn’t allow you to move TV Shows, Music, iTunes Radio, Movies or computer channels. Use the Apple TV remote to select the channel that you want to move. After that, as you have the channel selected, press and hold the black button from the center of the remote. You will then notice that the channel will start wobbling, allowing you to move it up, down, left or right. After moving the channel to the place where you want, press the large black button once again and you’re done. If you don’t like to move channels around, then you should consider hiding the channels that you don’t want to see in the list. There are two ways to do it and we’re going to tell you about them below. However, keep in mind that you will not be able to hide TV Shows, Music, iTunes Radio, Movies or computer channels. First of all, you will need to select the channel that you want to hide by using the Apple TV remote. While having the channel selected, you will need to press and hold the black button. Now, you will notice that the channel will start wobbling and this is when you will need to press the Play/Pause button to bring up a submenu. You will notice two options, “Hide This Item” and “Cancel” options. Select “Hide This Item” in order to hide the selected Apple TV Channel and you’re done. There is another way to hide multiple Apple TV channels at once. 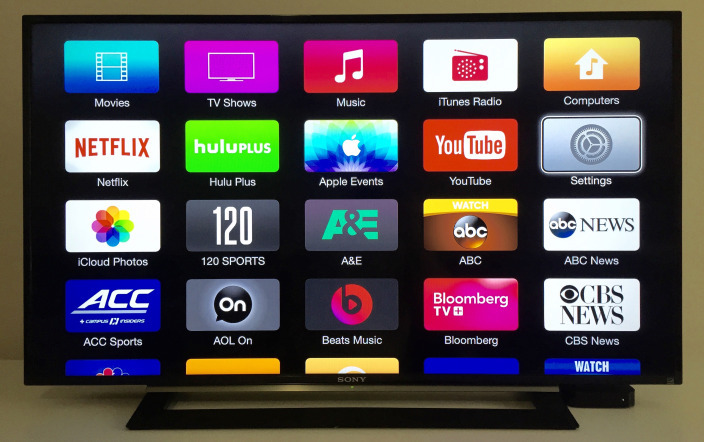 To do this, you will need to select the Settings application on the Apple TV home screen. Once you’re there, press and black button on the Apple TV Remote. Once the Settings menu opens, select the “Main Menu” command and you will notice a list of all your Apple TV channels. Select the channel title that you want to hide and press the black center button on the Apple TV. Continue doing this with all the other channels that you want to hide. Keep in mind that by hiding a channel on your Apple TV, you will not delete an application on your iPhone. When you hide a channel on your Apple TV, you will just hide it from the list. This means that you will be able to restore it whenever you want, without any problems. To do this, select the Settings application on the Apple TV home screen. After that, select the “Main Menu” command and you will see all the Apple TV Channels that you have (including the one that you’ve hidden). You will need to select the channel that you want to “unhide” and press the black center button on the Apple TV remote. The status of the hidden channel will change from “Hide” to “Show”. After that, do the same with the rest of the channels that you want to “unhide”. Even if there are a lot of Apple TV channels out there, it is always good to hide the ones that you don’t use so often. This way, you will not waste too much time when you’re looking for your favorite TV channel. 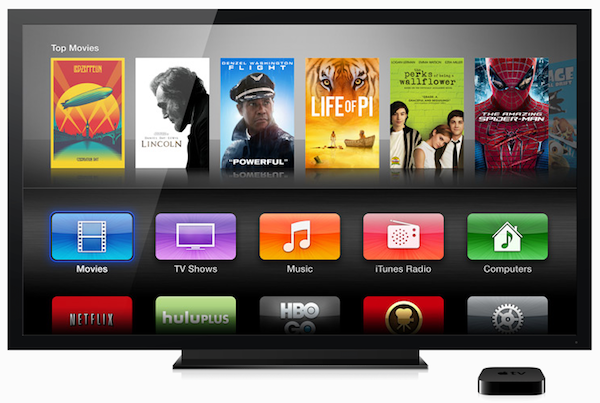 Do you own an Apple TV device? Tell us your thoughts about this streaming device! Previous articleApple Watch – Are You Willing To Pay The High Price? I began writing as a professional on my personal blog and then discovered my true calling, which is writing about SEO, technology and gadgets in general. I am a technical writer, author and blogger since 2005. An industry watcher that stays on top of the latest features, extremely passionate about juicy tech news and everything related to gadgets.